“Worry-free rose” isn’t a very common phrase. In fact, it sounds a bit like an oxymoron. After all, roses (as a whole) are known for being labor-intensive and kind of finicky. And while traditional roses reward lots of attention with beautiful, fragrant blooms, not every gardener has the time (or desire) to work so hard. We would like to introduce those gardeners to modern shrub roses. These low-maintenance plants produce colorful flowers that just don’t want the kind of attention that old-fashioned roses need. They’ll resist disease, tolerate extreme temperatures and won’t need much (if any) pruning. Are you still a bit skeptical? 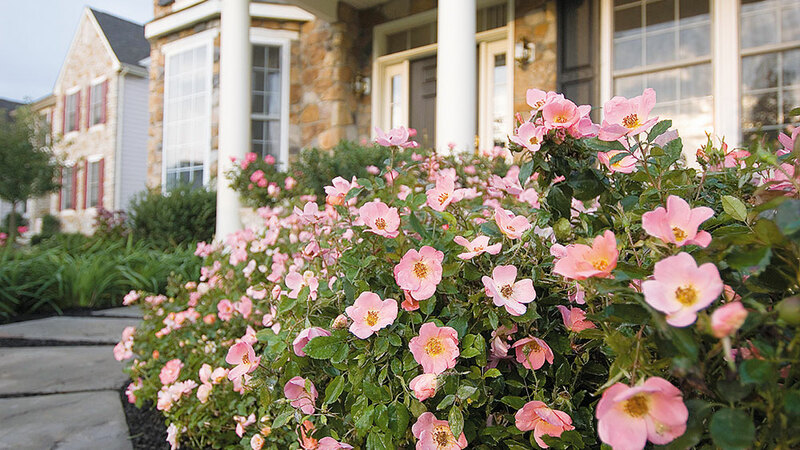 Meet three of our favorite modern shrub roses. Give one a try, and soon you’ll consider roses “worry-free,” too! 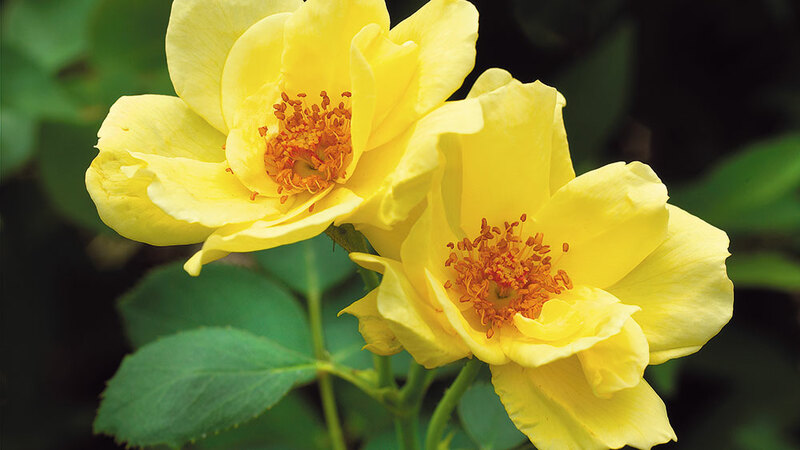 The name says it all: This easy going rose flaunts bright yellow blooms without asking for any special treatment. And unlike some other yellow roses, nothing can make these flowers fade. They hold their color until the petals droop, even when the weather’s hot. And if that wasn’t enough, once this 3-foot shrub gets going in summer, it doesn’t stop blooming until fall. Although they aren’t related, you’ll find other roses with “Carefree” in their name. All of them are resistant to disease, hardy to zone 4 and tolerant of heat and humidity. 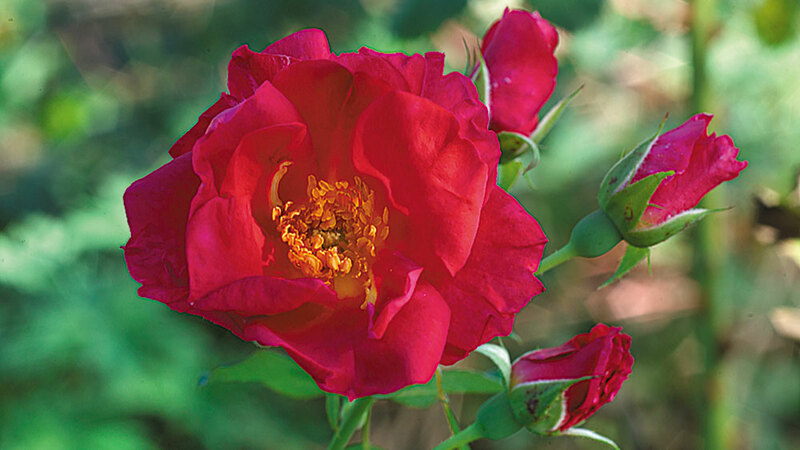 For a fragrant shrub rose, try Carefree Marvel — it’s got a light, spicy scent. If you want a rose that looks great in June (and July, August and September), this is the one for you. Rainbow Knock Out sports single blooms continuously until frost. And its blooms change color, opening orange and fading to coral-pink with a yellow center. It’s not a huge shrub, reaching just 3 ft. tall and wide, but this rose is perfect for the back of a border. Rainbow Knock Out is part of the Knock Out series of shrub roses. 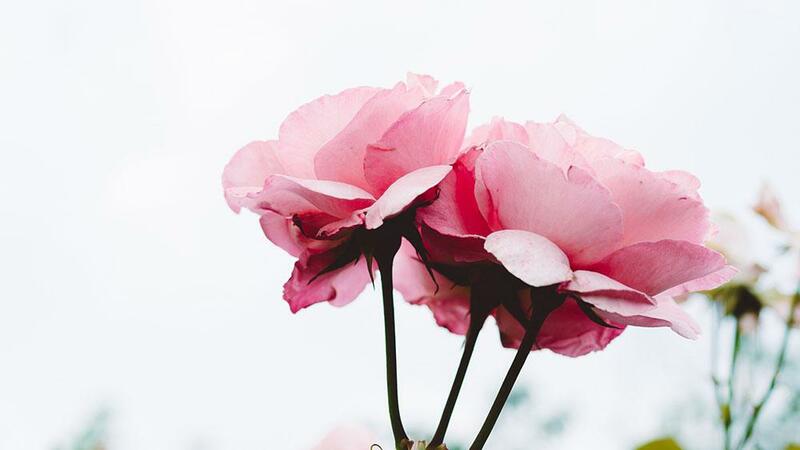 That means you won’t have to spend time spraying chemicals — Knock Out roses are almost completely immune to blackspot, and are resistant to powdery mildew. They’re also pretty tolerant of extreme weather, including humidity and cold (to zone 4). For something a bit more lush, check out Double Knock Out. It shows off cherry red double flowers from summer to fall. They’re beautiful, sure, but did you know roses can also be utilitarian? ‘Great Wall’ definitely is. This shrub quickly grows up to 5 feet tall, making it the perfect choice for growing a hedge or beautifying a bare fence. While this shrub doesn’t need a lot of attention, it sure deserves it! ‘Great Wall’ shows off its first flush of bright pink-red blooms in early summer, and reblooms lightly throughout the rest of the season. And even its foliage is showy: It starts off red, and slowly changes to deep green. Beautiful! ‘Great Wall’ is part of the Easy Elegance rose series. These shrubs are hardy to zones 4 or 5, and resistant to both blackspot and mildew. They come in colors ranging from creamy white to deep red. For something wild, check out ‘Fiesta’. Its hot-pink petals are streaked with white.